Wimshurst twin plate electrostatic machine. The side of the Wimshurst twin plate electrostatic machine. Close up of the Wimshurst twin plate electrostatic machine. Wimshurst twin plate electrostatic machine (centre), Jackson-type X-ray tube (right), and fluorescent screen X-ray accessory (left). A spark generated by the Museum's replica Wimshurst machine. When Wilhelm Röentgen (1845–1923) announced his discovery of X-rays in 1895, he caused a scientific sensation. That it was possible to see inside a living body provoked amazement among the wider public too. But how these new rays worked, and exactly what they were, was deeply mysterious – hence their name, X being the unknown. This group of objects demonstrates the enthusiasm for the new branch of physics, even outside the laboratory. The apparatus also shows how quickly the fashionable excitement around X-rays could be transformed from curiosity to powerful uses. There are three items here, which were purchased and used together by an Oxford student in 1898. Edward George Spencer-Churchill (1876–1964) was a first cousin of Winston Churchill and an undergraduate at Magdalen College when he decided to try out the still-novel phenomenon of X-rays. He acquired an X-ray tube and a Wimshurst machine, whose rotating discs generate the electricity delivered to the glass tube. 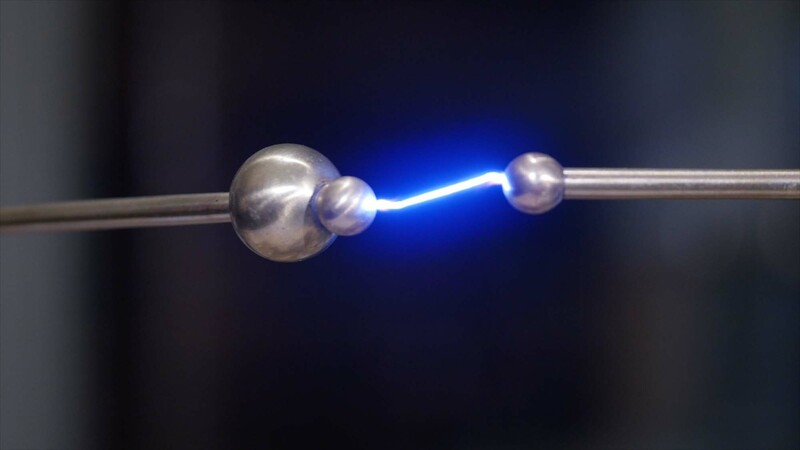 Electrons from the tube’s cathode strike the metal target of the anode to create the X-rays. The set was completed with a fluorescent screen. What earnest scientific subject was Spencer-Churchill pursuing? He was primarily taking images of the limbs of his friends – for fun! But amusement soon gave way to more serious concerns. On the outbreak of the Boer War in 1899, he became a Lieutenant in the Grenadier Guards and the apparatus was taken to South Africa, where it was used to assist the Royal Army Medical Corps to locate bullets, shrapnel, splinters or fractures in wounded servicemen. It was in use there between 1900 and 1902, and was still unscathed when it was presented to the Museum in 1939 by Spencer-Churchill himself.